MIOSHA is run by the Department of Licensing and Regulatory Affairs. It is their goal to protect the earned wages, fringe benefits, health, and safety of Michigan workers. They achieve this by creating and enforcing work safety and health standards; providing health and safety training and education; and work with their partners to come up with creative solutions to prevent workplace hazards. MIOSHA also has Wage & Hour activities that administer three laws which protect Michigan’s works’ wages and fringe benefits. This guide will focus on how to submit a complaint to MIOSHA based on an occupational hazard or discrimination from the report of an occupational hazard. 1) Filing a Safety or Health Hazard Complaint. MIOSHA has outlined two different ways for employees to file a complaint. The first is to file the complaint online. The second is to download the form, print it off, complete and sign it, and then mail or fax it to MIOSHA. The address for MIOSHA is P.O. Box 30643 Lansing, MI 48909 and the fax number is FX: 517-284-7777. If you have any questions about your complaint there are MIOSHA staff available by phone at 800-866-4674. Complaints are generally not accepted by phone except for the following cases. If there is an emergency or hazard that is immediately life threatening call 800-866-4674 to report the issue. If this is a construction related complaint, since construction work is temporary, special cases are sometimes made by the Construction Safety and Health Division. 2) Information needed to fill out the Safety or Health Hazard Complaint form. When filling out the complaint form, it is advised to have all of information for the complaint and have verified its accuracy beforehand. For starters you should determine if the complaint issues are related to construction safety or health, or general industry safety or health. Depending on what type of complaint you have, you will have to mail or fax the form to a different address or phone number. Both of which are provided on the form for easy access. After providing that information, there is space for you to describe the hazard or hazards. It asks that you describe the types of hazards you believe to exist, the number of employees endangered by each hazard and what building or worksite has the aforementioned hazard. 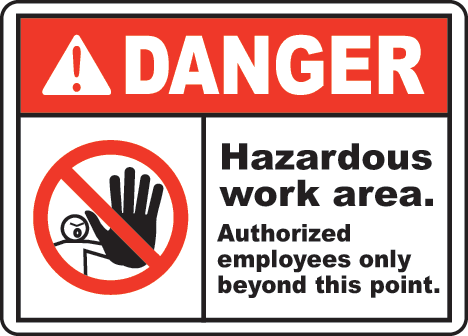 The easiest way to describe the hazards would be to go through and pick one hazard at a time, describing the type, location, and how many employees are affected for each hazard. If there is not enough space on the form, then you may attach additional sheets of paper with the additional hazards listed on them. Who is filling the form; then their name, telephone, signature and the date. If you are filling as part of an organization, it will ask for the organization name and your title within that organization. Once MIOSHA has received the complaint, they will determine if the claims made are reasonable. If the department deems the complaint to be reasonable, it will conduct an inspection. A copy of the complaint must be provided to the employer by MIOSHA no later than at the time of the inspection. Meaning they could give the employer prior notice or on the spot notice, but must have a copy of the complaint for the employer before they can begin their investigation. Depending on the requests made by the person who filed the complaint, the names may or may not be given out. If it is determined that there are no reasonable grounds to conduct an inspection, the complainant will be notified in writing of its decision. 4) Filing a Discrimination Complaint. MIOSHA has set guidelines for what constitutes grounds for a discrimination complaint. These guidelines are; if you have been discriminated against by your employer for using your employee rights that are guaranteed under the MIOSHA Act or if you were discriminated against when refusing to work in the hazardous environment, which would be considered an immediate danger. You must file your complaint within 30 days of the discriminatory incident. There are two ways you are able to file, one is by calling the MIOSHA Employee Discrimination Section at 313-456-3109. The other option is to send a letter of complaint to EMPLOYEE DISCRIMINATION SECTION, CADILLAC PLACE, 3026 W. GRAND BLVD., SUITE 9-450, DETROIT, MICHIGAN 48202. 5) Required information to file a discrimination complaint. Summary of Events, if more space is needed you may attach additional sheets. There is additional information that you could include however, everything listed above is mandatory for your complaint to be considered.